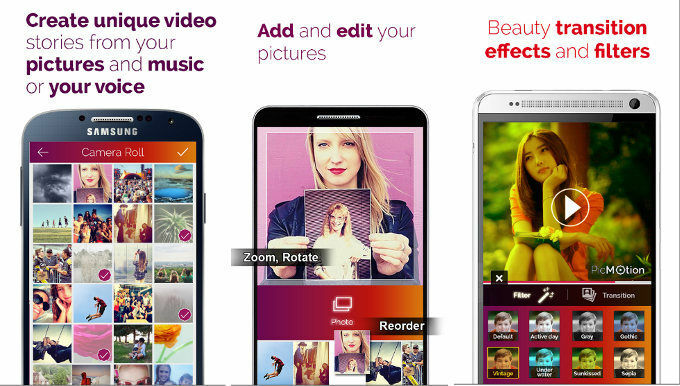 Flipgram is an app based online community that allows you to create videos from photos. Videos created with this application can have background music. Flipagaram is similar to YouTube. The only difference between the two services is that Flipagram provides a photo to video converter tool and it allows you to share videos whereas YouTube is a video hosting site. Like YouTube, Flipagram supports hashtags. It lets you comment on videos. Each video published on Flipagram is accompanied with a comment form. Flipagram has an option to bookmark videos. It allows you to find and follow interesting profiles. According to the app stores, Flipagram has about 100 million users. If you create an interesting video story with the Flipagram app, your video will be viral within a few minutes. Flipagram allows users to report inappropriate videos. Flipagram is a no doubt great app, but if you want to reach a wider audience, use the below best Flipagram alternatives on your device. Snapchat is a popular application with 500 million active users. When it was first launched, the app had a single feature of sharing photos. The app got a major makeover last year and now, it is a full-fledged social networking app. 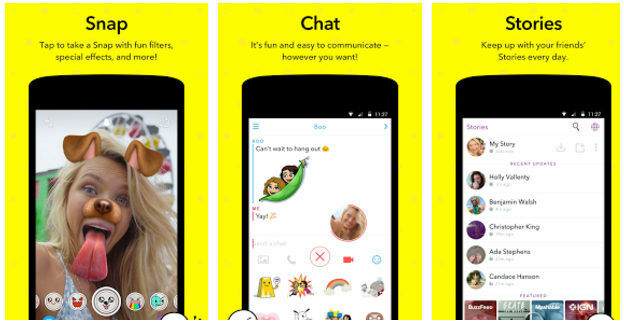 The app provides four cool features, Snap, moments, stories, and chat. The Snap feature allows you to share ephemeral photos. Moments lets you save a story or snap so that you can access it later. 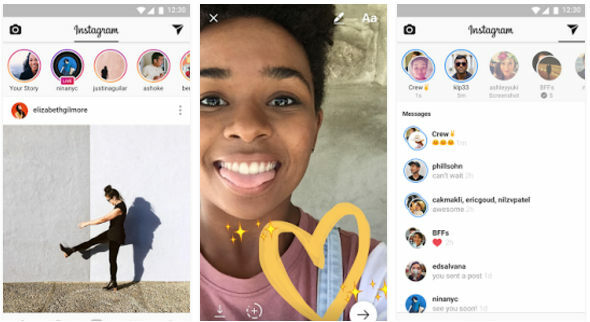 The stories feature is similar to the core feature of the Flipagram app. Stories created with Snapchat have a lifespan of 24 hours. It will disappear automatically after 24 hours. Snapchat is an user-friendly application. Its APK’s size is 67 megabytes. Owned by Facebook Inc, Instagram is the most popular photo-sharing service in the world. Like Snapchat, Instagram allows you to create stories from your pictures. Instagram app is known for its powerful photo editing tools and amazing filters. While creating a story, you can apply filters to your photos or edit them. 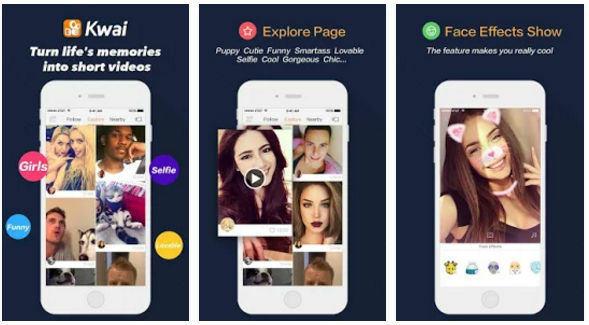 The app allows its users to select single or multiple pictures for their stories. The app enables you to add location to the story. You can also dedicate the story to a person or group of persons by tagging them. Instagram provides an option to disable commenting on a specific story. It lets you share video stories on Twitter, Tumblr, Facebook, etc. Instagram is a smaller app than Snapchat and Flipagram. It has up to a billion users. PicMotion is an app for the people who want to create a video from their photos but don’t want to quit their favorite social networking website. This app is easy to use and it doesn’t force you to register an account. To create a video from the pictures, run the app. Now select the photos which you want to add to the story. Then, edit the photos and apply filters to them. Now, you must add a background music to make the video more compelling. Once you do so, set a time duration for the slide. Once your video is ready, the app will provide an option to share it on social networking portals. The application supports Instagram. Hence, you can easily create videos from photos saved to your Instagram account. 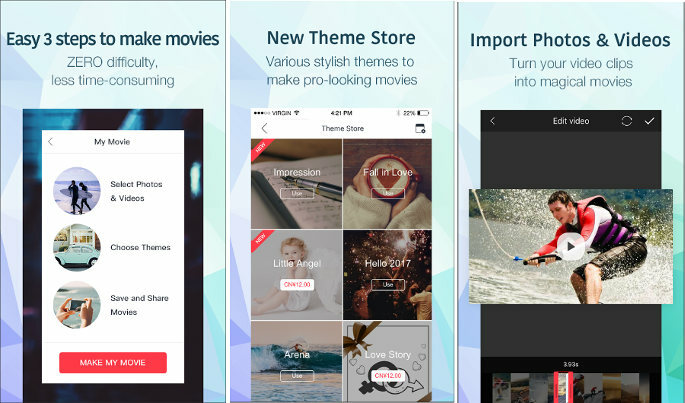 SlidePlus is yet another top app like Flipagram. The application allows its users to create high-quality video stories from pictures stored on their phone’s storage memory. It creates stories when the user follows the following three steps. In the first step, you must select the photos. Then, you must choose a video theme and an audio file. In the last step, you must tap on the Ok button and wait for the app to create a video story. The app provides an intelligent cropping tool and has an option to fetch pictures from your Instagram or Facebook profile. Like PicMotion, SlidePlus lets you share the video stories on FB, Twitter, and other social media sites. The application displays video stories of its interface when you run it. To create your profile and create video stories, tap on the user icon located at the top left corner of the interface. When you’re logged into the app, you can create a story by tapping on the camera icon. Kwai lets users record videos. It can also compile photos into video. It lets you add frames, stickers to photos, apply filters, attach background sound to the photos. Kwai offers a freehand drawing. It includes a tool to place text on the images. Conclusion: Apps like Flipagram we’ve shared above have photo editing tools. Some of the applications work in offline mode whereas some apps require an internet connection to function.